With all of the chaos that this year has brought upon us all we want to close out the year with as much cheer and spirit as we can muster. So why not do a giveaway just because we love you guys? 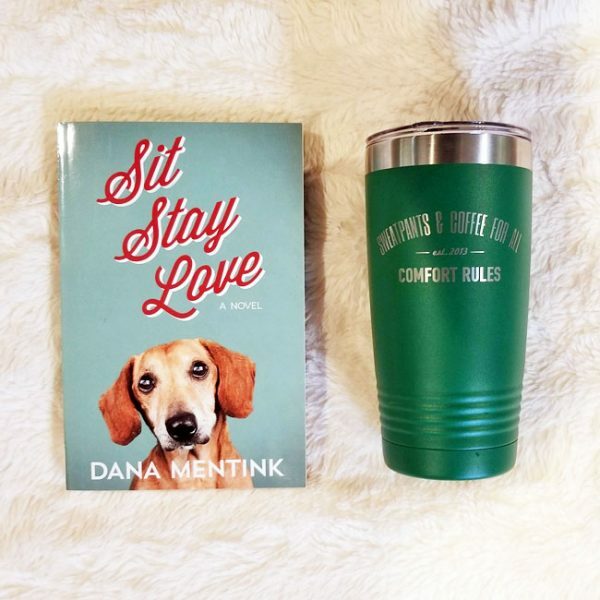 This weeks giveaway is themed for Dog Lovers Week. This clearly does not exclude you cat, mouse, hamster, bird, lizard, (insert exotic pet here) lovers. “Pro baseball pitcher Cal Crawford is not a dog guy. When he inherits his deceased mother’s elderly dog, Tippy, he’s quick to call on a pet-sitting service. Gina isn’t thrilled to be a dog sitter when her aspirations lie in the classroom. Furthermore, she can’t abide the unfriendly Cal, a man with all the charm of a wt towel. But with no other prospects and a deep love for all things canine, she takes the job caring for Tippy. Doesn’t that just sound like a Hallmark Holiday Special?! Oh yea, and you get to pick any color of our 20 oz. Sweatpants & Coffee For All tumblers too. Not bad huh?